We’d love your help. Let us know what’s wrong with this preview of The Secret He Keeps by Julieann Dove. Dane S Dr. Rachel Miller has no recollection of what happened that night she climbed in the car with her husband and he drove recklessly into a tree. She has no clue as to why she survived and he didn’t. Nor does she understand why strangers are coming up to her on the street and telling her things she can’t recall about a life that seems so long ago. But Dane Stone knows. To ask other readers questions about The Secret He Keeps, please sign up. struggled with this one...review soon! This is my first time reading anything written by the author, but as soon as I read the blurb I knew I had to get a copy of this book. I figured that this would have been an emotional read and I was not disappointed. I am not sure I would have classified this as a romance. The emphasis was more on learning to cope with a devastating loss rather Secrets always have a way of coming out no matter how hard we try to hide them. “The Secrets He Keeps" by Juliann Dove accurately depicts this statement. This is my first time reading anything written by the author, but as soon as I read the blurb I knew I had to get a copy of this book. I figured that this would have been an emotional read and I was not disappointed. I am not sure I would have classified this as a romance. The emphasis was more on learning to cope with a devastating loss rather than falling in love.What I liked about this story was the portrayal of the effects that the grieving process can have on an individual. We all grieve in our own way and sometimes it can take us down a path of destruction. This was the effect it had on Dr. Rachel Miller. At the beginning of the story, we see Rachel grieving the loss of her husband for over a year. During this time, she had isolated herself from her friends, family, and co-workers. She was in a state of depression and was on the verge of becoming an alcoholic. Added to that she had no recollection of the events leading up to her husband’s death. All she knew was that she survived the very accident that took her husband’s life. By the time I read a new book that I get, I forget what the synopsis was. So, I just start reading. This story is about a girl, Rachel, who has lost her memory of the last year of her married life with her now deceased husband, Scott. At the beginning of the book almost a year has passed since he died in a car accident with Rachel in the car as well. During this time after wards, Rachel is a hermit. She is depressed and doesn’t really leave her home. When she crosses path with an electrician fixi By the time I read a new book that I get, I forget what the synopsis was. So, I just start reading. This story is about a girl, Rachel, who has lost her memory of the last year of her married life with her now deceased husband, Scott. At the beginning of the book almost a year has passed since he died in a car accident with Rachel in the car as well. During this time after wards, Rachel is a hermit. She is depressed and doesn’t really leave her home. When she crosses path with an electrician fixing the power to her home, she thinks maybe she is ready to move on. She does get out more but decides she isn’t ready to date yet. That’s when Dane her partner at her medical practice steps in. As he tries to get her to come back to work, she becomes nervous. She feels safe with him but also feels guilty because of her feelings for Dane feel like betrayal yet also safe. Rachel starts learning bits and pieces of her last year of marriage and of the man Scott was becoming. She was trying to figure out what happened to him and why he was changing. The mystery of Scott wasn’t fully resolved until the very end. Rachel had a hard time coming to terms with it because all she could remember were the good times with him. I liked that it was a mystery and where you had clues you aren’t 100% sure because the author would tell you something else to try to get you to be unsure yourself. The point of view changes between, the electrician, Rachel and Dane. The book goes back and forth in time to give you the full picture by the end of the book. Sometimes, I found it hard to know whose POV’s I was reading and whether it was present or past since it wasn’t really separated in the chapter for me. It could have been due to the fact it was an arc? The thing that bothered me the most was that it ended very abruptly. Ok, I just learned what happened and I am okay with it all- the end!! Nope, I don’t like that type of ending. Overall, the story was cute, my husband has loss of memory from an accident and I could relate to that aspect very well. Dane is a good man, even though there were some things I didn’t like that he did. I love holidays with family and this was during thanksgiving and Christmas and New Years and I love all the family drama and still everyone loves everyone. It was a little sad the history that Rachel has lived with all her life. I felt for her. Surprisingly sweet, a little dark and a whole lot interesting. I loved that this story was slightly different from other romance books in being that the main hero started off seemingly a secondary character. If I hadn't read the synopsis I might have been rooting for her and John. Very good story by an author new to me. Thanks to Netgalley for the ARC in exchange for a honest review. I could not get into this book at all! The majority of the first quarter of the book all takes place in the main character's head. There's very little interaction with another person (except for some random electrician who knocks on her door). The basis of the story sounded really good, but when you read page after page of someone's thoughts you tend to lose interest. I read this in beta, and enjoyed it from the small town setting to the secrets. Rachel’s living room smelled like stagnant smoke and dust. Rachel had given numbers to all the things that made her feel abandoned Rachel’s dog Gus was her only friend in the world and was the only one who was witness to the destruction Rachel’s life had become. Rachel had been married to Scott but Scott had died in a car accident he had been driving in drunk with Rachel in the car. Rachel blamed herself for not taking the keys or otherwise stopping Scott from driving in that condition and wishe Rachel’s living room smelled like stagnant smoke and dust. Rachel had given numbers to all the things that made her feel abandoned Rachel’s dog Gus was her only friend in the world and was the only one who was witness to the destruction Rachel’s life had become. Rachel had been married to Scott but Scott had died in a car accident he had been driving in drunk with Rachel in the car. Rachel blamed herself for not taking the keys or otherwise stopping Scott from driving in that condition and wished she had died instead of him. But Rachel has no memory of what really happened or of the last year of Scott’s and her marriage or life together. Scott has been dead 10 months and 2 days. The last time Rachel had a guest to her house was 4 months ago and it had been her mother. Yet it was 7 am and someone was knocking at her door. It was a man Rachel didn’t recognize and he was walking away. John Witzel had been the man at Rachel’s door, he was a utility worker after the bad storm that had just swept through. John thought Rachel was beautiful but left as he had a rule about women no dating outside of a bar. John could talk to women in a bar and they weren’t off limits to his rule. John had an ex fiance named Kelly thirteen months after they started together Kelly cheated with a coworker and it was six months before john’s and Kelly's wedding. Now John was finished with girls. Rachel tried to turn down the voices in her head that said she was a loser and she would never make it without her husband. Rachel was so lonely she couldn’t take it anymore. Rachel was a doctor and had a practice waiting for her. Scott’s best friend Dane was Rachel's partner in the practice. Rachel had a therapist who was trying to get Rachel to remember her lost memories of the year and the accident. Scott and Rachel had spent a lot of time with Dane and her therapist told her to ask Dane about that year but Rachel hadn’t talked to Dane recently. Now Rachel was drinking a lot herself to get through the day. Rachel had already attempted suicide but had been found before it was too late. Dane was already in love with Rachel and had stayed at her side as much as he could while she was at the hospital. Dane had been in love with Rachel since he had seen her at a bar, but Dane stepped back and let his best friend Scott go after and marry Rachel. But then Scott starting drinking a lot more until he fell into alcoholism. Rachel finds she has feelings for Dane but feels guilty about it. Rachel knows she must start living again and starts to find clues to what happened that night and the year before. She finds Scott was no saint as she goes on. Memory is a fickle thing. We can choose to remember what we want when we want. But it's somethig Rachel doesn't have after her deceased husband, Scott is killed in a drunken car accident. She doesn't understand why she can't remember anything on thte night or leading to the accident. But blaming herself on Scott'sdeath is something she's been dealing with the grief. Rachel doesn't understand why people in her townkeep telling her completly different memories from the man she married and fell in love with. She doesn't know why she's attracted to her partner and best friend of her decased husband, Dane. She's been in grief for a long time. It was a bit confusing, because sometimes I didn't know whether it was her past or her present. But other than that, Rachel was relatable, becuae it's hard losing the person you love. I loved how much her friends and family cared about her even though she wasn't up to it AT ALL. When the mystery of what was the 'memory' that she lost was revealed; I was a bit flabbergasted. I thought it was something different. I loved the writing style of this novel which wrote a story of grief, love and redemption. Dane can't tell her. If he could tell her, he wouldn't have to see the girl he loves hurt. Yes, Dane is in love with his deceased best friend, Scott since he laid eyes on her in a bar. But he practically gave Rachel to Scott and he watched him turn into an acholic. Rachel little does she know that, she was in love with Dance so e wants to make her fall in love with him again. Maybe itt'll make her remember. I really wish he would've told her earlier so I could see their relationship flourished, but I only got a taste of it towards the end. I shipped them towards the beginning. I really loved the storytelling and the fow of Dane and Rachel's relationship. This was a different read for me because this story was in the mystery genre as well. I went into this story brand new and not expecting the emotional roller coaster that I was taken on. The secrets he keep tells the story of Rachel. Rachel was in a terrible car accident along with her husband, but, unfortunately, her husband died in the accident. As a result of the accident, Rachel has lost her long term memory for the one year before the accident and leading up to the accident. Rachel is fight This was a different read for me because this story was in the mystery genre as well. I went into this story brand new and not expecting the emotional roller coaster that I was taken on. 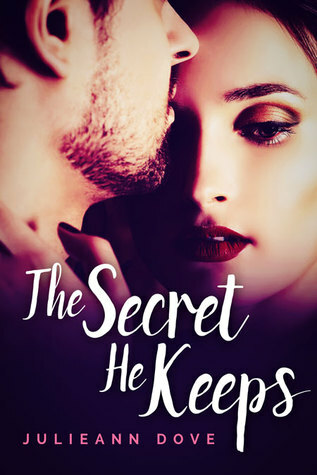 The secrets he keep tells the story of Rachel. Rachel was in a terrible car accident along with her husband, but, unfortunately, her husband died in the accident. As a result of the accident, Rachel has lost her long term memory for the one year before the accident and leading up to the accident. Rachel is fighting to normalize her life and to move on from the death of her husband. What makes this story so interesting is the emotional journey that Rachel goes through and Rachel's desire to remember her husband as this saint, instead of the man that everyone is telling her about. this is the second book that ive read by this author and they just keep getting better. you will definitely be hooked from the first page, this book will keep you hanging till the very end. This is a sweet but sometimes dark story. This book has fantastic characters and is a very good story. I cant wait to read by this author in the future. We first meet Rachel who is trying to find out what happen before the accident that killed her husband. I loved reading this book because never have I read a book like this before . This book was good, the kept you hanging till the very end on what happened that dreadful night her husband died. For a year she was depressed from loosing her husband and then she started finding clues but her mind wasn't wanting to remember her husband right before the accident. The book was okay but it didn’t work for me because I had a hard time getting into it. I just didn’t connect with the main charters (the ones that were and dead). I found my mind wondering and I just didn’t care why Rachel forgot the year before her husband’s death or why she wanted to remember the night he died. Interesting read with lots of promise. However, the story was quite slow, and the ending very abrupt. The different POVs were very enjoyable. Apparently, this author's writing style just isn't for me. Second book I've attempted; 2nd DNF. Only made it about 10% in. Life is too short, and my TBR pile is too long. This review is based on the ARC received from the author and or the publisher via NetGalley in exchange for an honest opinion. I enjoyed parts of this story quite a lot. Some were unnecessarily there and extremely offensive. When the author addresses the issue the critique I left in NetGalley, I will definitely adjust my rating accordingly. I wasn't very impressed to be honest. I have a pet hate and that is the characters talking inside their heads, it irritates me, i know it is difficult because Rachel is alone alot but she rambles in her head and talks to the dog. It just didn't work for me.